The Standing Stone: Guest Post: "A tale of the Wexford Knight Templars and their medieval settlements at Kilcloggan and Templetown, Hook Head, Co Wexford." by Dolores Kearney. Guest Post: "A tale of the Wexford Knight Templars and their medieval settlements at Kilcloggan and Templetown, Hook Head, Co Wexford." by Dolores Kearney. 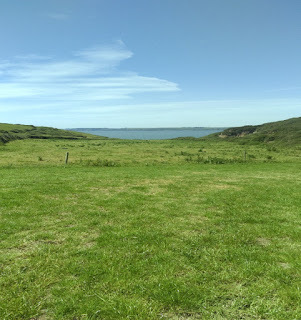 Before the journey begins to Hook Head, Co. Wexford, this article shall briefly look towards the origin history of both the Templar and Hospitaller Knights in the dusty and dangerous context of Jerusalem. It was from their founding in the Holy City that these military orders spread out across Europe and in the early 1170s, both orders joined the early Anglo-Norman knights in Ireland. 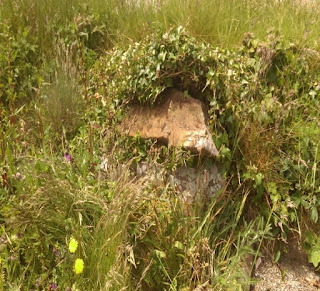 It is the objective of this article to present for the reader a brief historical snapshot placing the emphasis on the Templars presence on the medieval landscape of Co Wexford. Then, the focus shall concentrate on the fragmentary Templar archaeological footprint that remains across this section of the modern Wexford landscape. According to Henri de Curzon’s 1886 translation of the rule of the Templar Knights, the descriptive term of ‘miles christi’ applied to the religious men who used prayer as a fighting weapon however, this term changed during the pontificate of Gregory VII (1073-1085). Prayer alone was not enough to protect the kingdom of Christ and to the ‘miles christi’ was added another tier of religious defence, the ‘milites christi’. By the creation of this new structure, the approach to salvation for the soul broadened and all knights of the feudal system could take up arms for the church with a guarantee of reparation for their souls. From this change emerged the Templar and Hospitaller Knights in 1119 with the primary directives to offer protection and care to pilgrims as they made that difficult and dangerous crossing over the Holy Land to reach Jerusalem. Both of these new orders quickly acquired growth in numbers and influence, expansion in wealth and in power across the landscapes of eleventh and twelfth century medieval Europe. However, a chasm of hostility also developed between the orders concerning the amount of power, strength and influence that each order had attained. It was in this context that this synthesis of holy and hostile men accompanied the Norman knights to Ireland in the 1170s. At the pinnacle of this Norman society was King Henry II, who issued a patent in 1168 to Diarmait Mac Murchada, the ousted King of Leinster. His action granted to Mac Murchada, the right to begin recruitment from the Norman knights of Wales. Initially this was with the purpose of providing aid so that he could regain his lands, however, this process rapidly changed to one of incursion, conquest and colonisation by the knights. These dangerous, fast-paced circumstances caused Henry II to travel to Ireland in 1171 with Templar Knights in his retinue. Once in Ireland, to display his royal authority, he formally took and then re-granted Leinster lands to the Anglo-Norman knights. It was in this time-period, that the Templars received their lands, chartered and granted from the King but it was somewhat later when the Hospitallers Knights received their land grants from the Anglo-Norman knights. After receipt of these grants, the two orders quickly established preceptories or command centres, the preceptories allowed the orders then to act as a planted source of security for the process of colonisation in Wexford and ultimately, the rest of Ireland. The granting of land also served as frankalmoign or penance deemed suitable by the church to make amends for knightly violence involved in the imposition of feudalism. The charter issued in 1172 to the Templars by Henry II served as part of his penance. In return for these grants and with the additional freedom from all costs, expenses and tithes, the order’s task was to pray in perpetuity for the absolution of Henry II regarding his role in the 1170 assassination of his Archbishop, Thomas Becket. 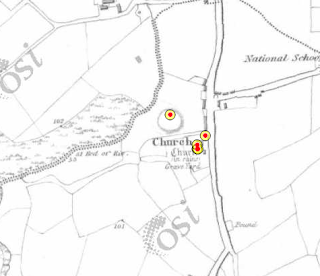 Listed in the charter were lands, mills and churches in Dublin, Waterford and Wexford and it is the Wexford grants that hold this article’s interest. As previously stated, the charter concerned only the Templars and it was three years later that Richard de Clare, Strongbow, granted lands at Ferns and Wexford town to the Hospitallers. From the reading of these grants, it would appear that the Templars held the strategic promontory of Hook Head to control access to the port of Waterford and the Hospitallers held the equally important northern site of medieval secular and spiritual influence, Ferns. 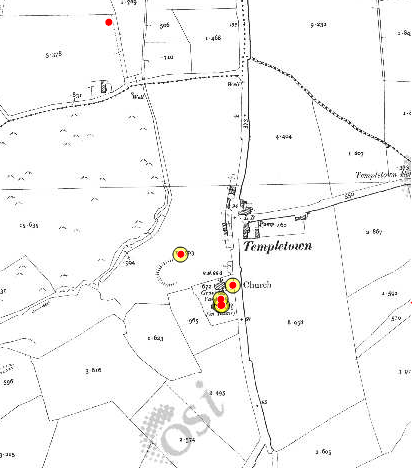 This area held by the Templars at Hook Head was the preceptory of Kilcloggan with its manorial village of Templetown. 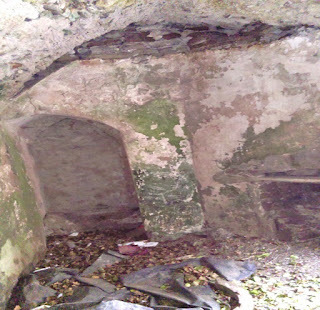 According to the research conducted by the nineteenth century historian and archaeologist, Herbert Hore (1904), it was in 1183 that the O’More family of Leix endowed the preceptor of Kilcloggan. The O’Mores at this time-period along with many similar families worked in conjunction with the Anglo-Normans hence the O’Mores’ endowment of the Templars. Fig 1: The peninsula of Hook Head outlined in red. Fig 2: Kilcloggan and Templetown highlighted in yellow. Hore (1904) continued to outline the O’More assistance to the Templars in the founding of the preceptory at Kilcloggan on the site of the earlier 5th century church or monastery of St Alloc. He gives no description of any physical building at the site and corrects what he terms as ‘erroneously supposition’ that the word ‘preceptory’ indicated a fortified building or buildings. 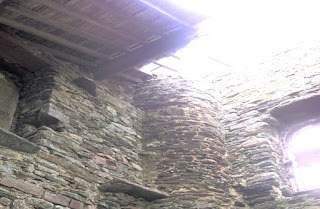 An inventory of 1185 recorded for all Templars in England, Scotland and Ireland listed among the vast estates, prioral houses and small administrations whose concern was farm management; it seems likely that these were the type of buildings at Kilcloggan. Evidence to strengthen this assumption lies in another inventory conducted in 1307, in which there are several clues that would indicate that Kilcloggan had a building complex that comprised a grange (outlying farm) with a haggard (area beside a farm often used for storage of grain and other produce). This 1307 inventory records ‘brass vessels in the hall and kitchen’, along with beds, clothes, furniture, all of this written evidence begins to paint a picture of a farm that supplied its outlying lands and its manorial village at Templetown. 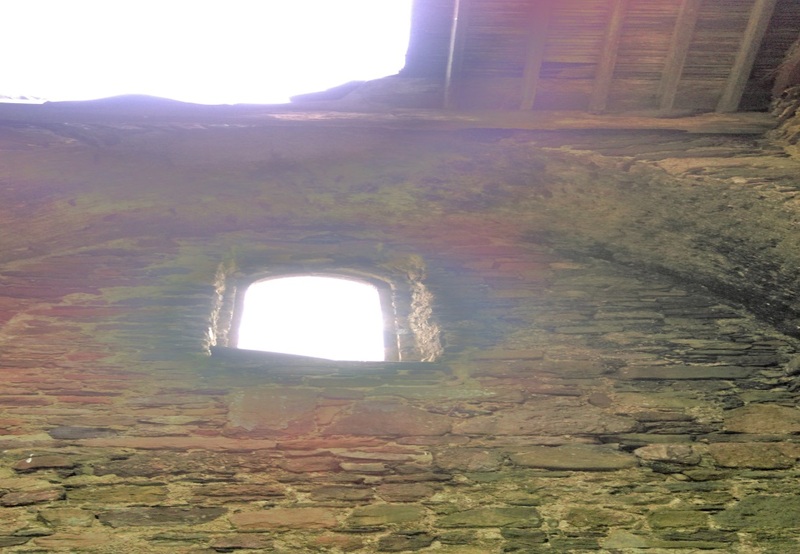 Manorial villages contained a castle and church, sacred and secular at its core and Templetown fitted that description within its preceptory of Kilcloggan. The late historian and writer, Dr Billy Colfer in his thesis (1986), names Templetown as the site of an earthwork castle, possible early medieval and he listed it as the principal settlement on the peninsula of Hook. 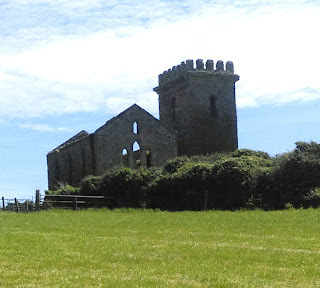 The siting of this castle and the building of Templetown church alongside it placed the Templars at the mid-point in the entrance to Waterford Harbour. In conjunction with their property at Ballyhack, further south, the Templars formed part of an established Anglo-Norman pattern of a linked coastal defensive network for the important access route to and from Waterford Harbour. This article has focused so far on the historical context of the Templars at Kilcloggan and at the village of Templetown. The aim now is to fix attention on what remains of the Templar footprint above ground on the modern landscape of Hook Head. As we begin our journey to Hook Head, I shall use my own voice to outline my experience of exploring the Templar fragments that are still visible above ground and still accessible to the public. My trip to the Hook in June 2015 was less strenuous then the bicycle tour of Gabriel Redmond in June 1899. Redmond, in his diary sketched for his readers the slow yet steady disappearance of the Templar material settlements and its fusion with Hospitaller architecture. An example of this blending of styles exists at Kilcloggan, in the form of a four-story tower house with stepped battlements situated on private land and therefore, inaccessible but still visible from the road. Constructed in the same red sandstone as the smaller tower at Templetown and according to Colfer (2004), the Knights Hospitallers erected this tower after the suppression of the Templars in 1307. Attached to the tower are the remains of a bawn (courtyard) wall and doorway, he states that all three are of the same date due to the method of construction used to attach wall to tower. Colfer (2013) elaborates further and writes that the small size of the tower and absence of a loft under the vault, all contribute to placing the tower house in Hospitaller time and architecture style. Hence, it would appear that all traces of Templar architecture at Kilcloggan merged and altered after their suppression in 1307. 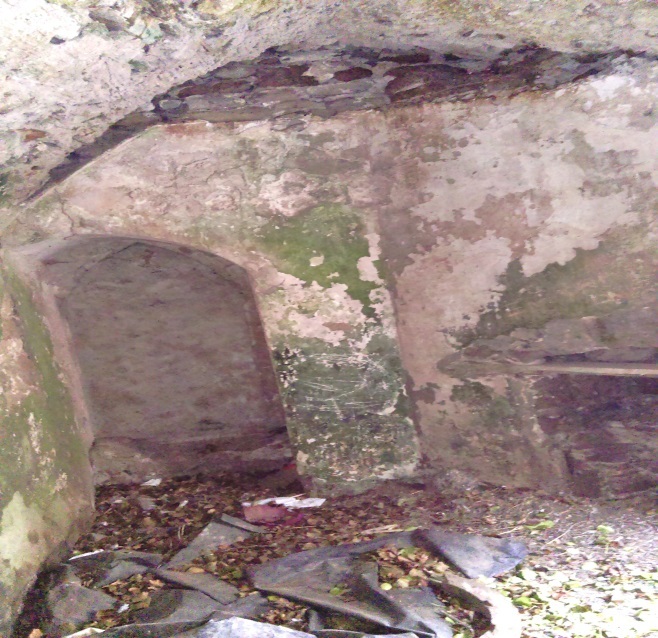 Although, the inventory of their possessions recorded in that same year gives us evidence that their settlement included a grange, haggard, hall and kitchen and the fact that the kitchen needed a lock, recorded to the value of 8d, all combines to offer a tantalising yet undetailed glimpse of a Templar farm at Kilcloggan. 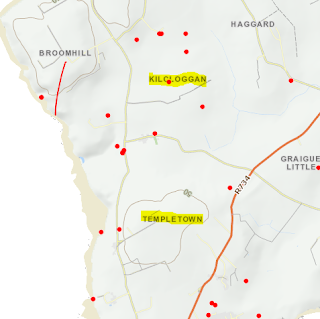 I searched for evidence regarding archaeological excavations at Kilcloggan and could find no record online however; I discovered that in 2009, test trench excavations occurred at Templetown, 1.2km NNE from Kilcloggan. These trenches were required as a condition of planning permission for a house, some 210m from what was termed a late pre-historic or early medieval promontory fort, this is the earthwork castle mentioned earlier. Unfortunately, in 2009, no archaeology was uncovered in these test trenches. Could it be possible that the Templars rebuilt and then used the promontory fort or castle in their role as a security force in the 1170s? The National Monuments Service of Ireland on their website locates this site on ground leading into a small east-west valley, which opens onto a small bay. 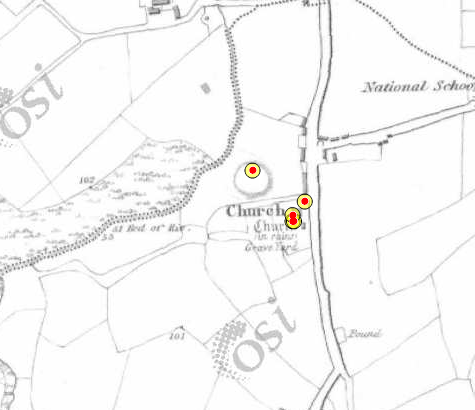 I have included two map representations of the site, all from the nineteenth century and the first of my own two photographs showing the narrow valley leading from the site of the fort or castle towards the bay and the second one was taken from its possible site looking towards the Templetown church complex. Fig 3: The site of the fort/castle is the yellow and red circle positioned to the left of the cluster of circles. The map is an historic 6’ (1829-1849). Fig 4: This map is the historic 25’dated 1888 and by comparison with the previous map, the fort/castle appears to have loss its concentric shape. Plate 1: This image depicts the small valley leading away from both the site of the fort and the church complex at Templetown. Plate 2: I took this second photograph from the position indicated on the National Monument maps of the site of the fort/castle, looking towards the Templetown church buildings, facing onto that east-west valley. I spoke to a farmer who was in the field at the time, he did not recall ever seeing any visible archaeological remains in this field and he informed me that, as far as he was aware, no ploughing ever took place in this field, it was always a pasture field. This church complex acts as a reflection of the planted religious and political turmoil that swept and scarred not just medieval Wexford but also its early modern landscape. Reading left to right, one can see the fragmentary ruins of the Templar church, the tower in the Norman style constructed by the Hospitallers and then the walls of the Protestant church built in 1828 and closed in the 1930s. 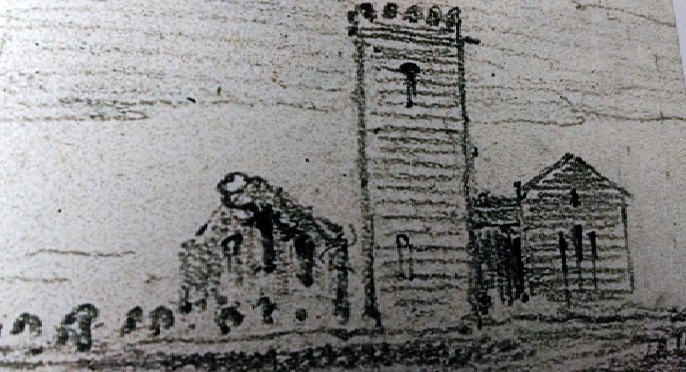 Fig 4: This sketch by George Du Noyer dates from c.1850 and shows the complex from the front. Again, reading it from left to right, one sees the ruins of the Templar church, unattached to the later Hospitaller tower structure of the Norman style and a point to note is how the windows of the 1828 church, on the right, mirror the elegant lancet windows in the ruins of the Templar church. Plate 4: In this photograph, I began to explore the ruins of the Templar church or should I say the last remaining portion of the eastern wall of the Templar church, I have outlined it in red and it stands approx. 60-80cm in height. The second area outlined by the red rectangular shape is a gap of 1.82m between the base of the tower and the church. This is the gap visible in the above Du Noyer sketch. Plate 5: The side elevation of the eastern wall. Plate 6: The red line pictured below running across the top of that eastern wall, measures 9.75m, the exact length of the façade of the 1828 church. 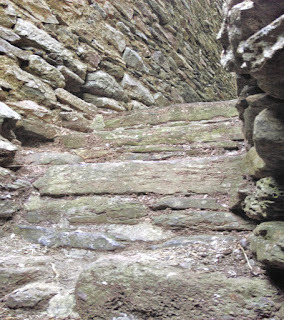 The material used in the eastern wall was red sandstone like the 1828 church and as we have previously mentioned, the material used at Kilcloggan was also red sandstone. It appears that symmetry was the objective in 1828 or was it? As I explored further and photographed from different angles, I noticed the damage to the tower battlements. Plate 7: Damage to the battlements. 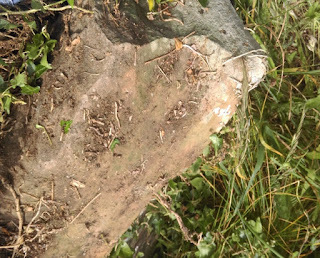 Plates 8 and 9: I carefully peeled back a curtain of ivy on the top of the eastern wall and uncovered this section of masonry. It appears to fit with Plate 7, the missing portions of the battlements. Therefore, the question arises, how much of the wall is comprised of the fallen battlements? I would imagine 3.65 metres as Redmond (1899) records the eastern wall as only 20ft or 6 metres, so it would appear the façade of the Templar church was much smaller than that of the 1828 church. 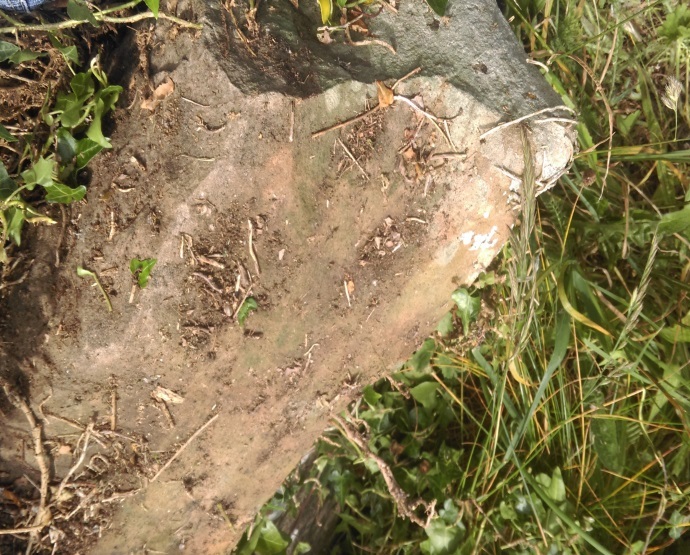 I hasten to add, I drew the curtain of ivy back over these fragments. 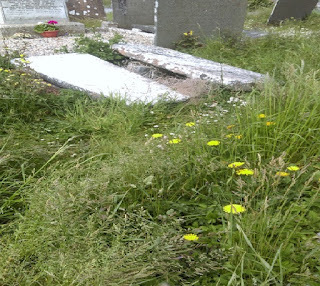 Plate 10: Moving to the end of the visible eastern wall, pictured here dotted with dandelions, I stepped forward 1.21m towards these two grave slabs. 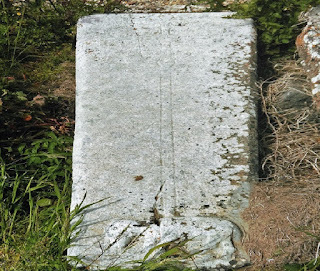 Plate 11: Pictured here is a close-up of one of the grave-slabs. It reveals a cross with three fleur-de-lys terminals and a projecting Agnus Dei, Lamb of God. Both the fleur-de-lys and the Angus Dei formed part of the symbolism of the Templars and therefore, not surprising to find this grave-slab here. However, the puzzle is whatever or not, this grave-slab covers a Templar burial within the original church or was just placed in its present position from elsewhere. Fig 5: If the slab were still in its original position, then the area marked in red would indicate its position inside the church. I turned my attention next to the Early English style or Norman tower. Colfer (2013) writes that the tower design and construction is Hospitaller style, again after the 1307 suppression. While, it is beyond the scope of this article to examine why and how the suppression of the Templars occurred across Europe, including Ireland, the previously mentioned inventory of their Irish lands and goods offers a last picture of the order in Ireland. An image of men who were far less military in nature by 1307, land wealthy but lacking in material comforts contrary to what folklore and myth have led us to believe. After the loss of their lands, goods and identity, the remaining Templars in Ireland became the responsibility of their once great rivals, the Hospitallers. 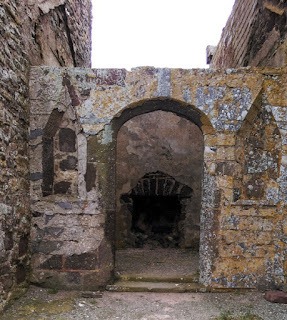 Plate 12: The only entrance to the tower is via the nineteenth century doorway to the narthex, the short corridor that connects the altered interior of the tower to the 1828 church. 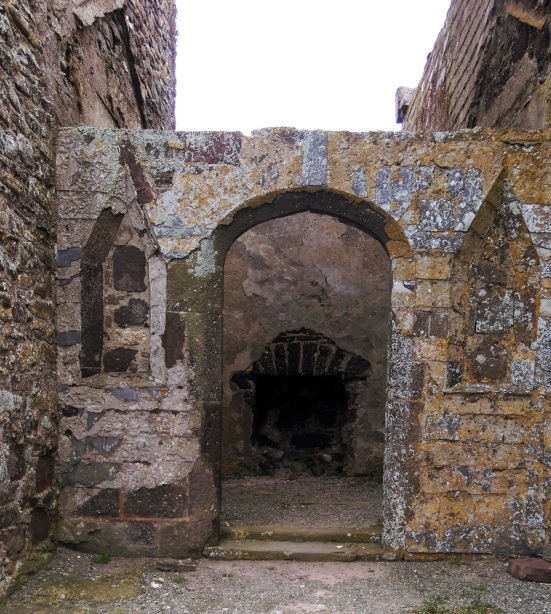 The tower interior on the ground floor in Plate 13 shows one of its arched doorways now blocked up and one of two fireplaces, the narthex contains its own fireplace. Plate 14: The tower’s narrow spiral staircase to the first floor. Plate 15: A view from the first floor looking upwards to the remains of the converted belfry (19th century). Plate 16: The part vaulted roof of the second floor. The Hospitaller tower has seen considerable alterations to its original fabric making it difficult to understand its exact role from its building post-1307 through to the dissolution of the Hospitallers in the 16th century. The general modern consensus is that the building served many purposes from its construction to its last role attached as a belfry to the 1828 church of Templetown. Plate 17: The 1828 church. This final building of 1828 served the Protestant community of the Loftus estate for a hundred years, 1828-.c.1930s. 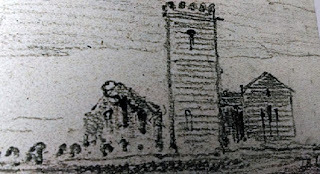 However, prior to its construction, the community had used the Templar church as a place of worship and as Du Noyer’s sketch of c.1850 reveals the new church closely resembled the Templar Church in its exterior design perhaps the architects objective in 1828 was to create a symmetrical, aesthetic nineteenth century building complex. 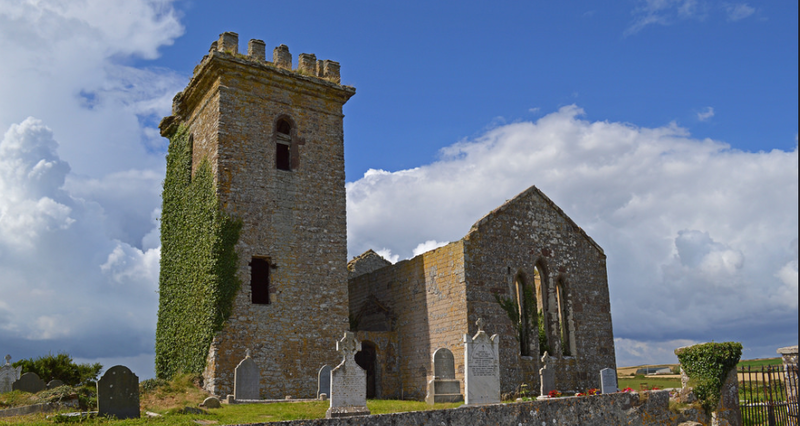 Within this last church, the time has come to reflect upon the objective of this article, the aim to place before the reader, a historical and archaeological snapshot of the Templar Knights on the landscape of medieval and modern Co. Wexford. What has emerged is a picture of a band of battle hardened fighting men at odds with their similar order of fellow knights, the Hospitallers. 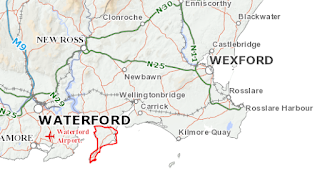 They arrived slightly earlier into Wexford than the Hospitallers and initially, received more in terms of land grants, contracts and tithes because of their frankalmoign arrangement with Henry II. Their preceptory or headquarters at Kilcloggan allowed them to act as a style of security force for southern Wexford. Their suppression in 1307 resulted in the loss of their identity as an order. The inventory of their goods and lands from that year bear testimony to an order less military, more agricultural, rich in lands yet living a lifestyle that failed to reflect the rumored vast wealth and riches that history, folklore and invented tales have scripted around the Templars. However, this inventory lacks any details on the architectural styles favored by the Templars prior to 1307 in Ireland therefore, to gain any idea of that style; we must look to the brief black lines placed on paper in the 1850s by George Du Noyer. 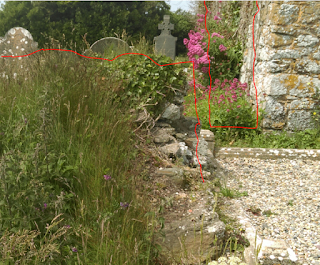 This drawing points us towards the last standing section of the Templar church, its eastern wall, in Templetown graveyard. Behind this wall is the simple yet elegant and classic Templar iconography on a weathered grave-slab, all this visible archaeological evidence combines to add structure to a snapshot of the Templar Knight’s presence on the landscape of medieval and modern Co. Wexford. 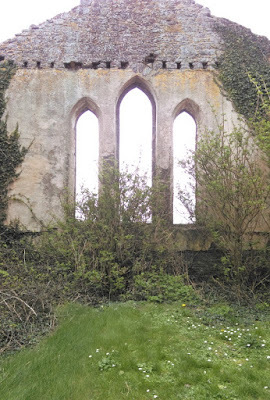 The death knell for the Templar order in Ireland resulted in their rivals having possession of their estates, altering and placing their own architectural styles on what remained of the Templar buildings until this order too faced dissolution under Henry VIII. The new religion introduced by Henry in the 16th century, takes its place within the Templetown buildings; the Protestant community used the Templars original church until 1828. In that year, they converted the Hospitaller’s tower and to the right hand of the tower, they built their new church reflecting the old crumbling design of the Templars church. Finally, the 1828 church closed in the twentieth century and today, this complex of buildings both at Templetown and Kilcloggan stand as mute and beautiful witnesses to the presence of the once powerful military orders of Templars and Hospitaller Knights, a tale of the ‘milites christi’ on the medieval and modern landscape of Hook Head, Co Wexford. Colfer, B. (2004) The Hook Peninsula. Cork: Cork University Press. Colfer,B. 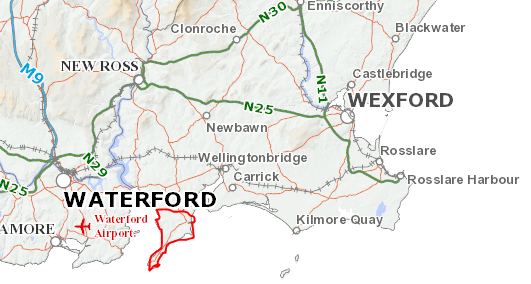 (2013) Wexford Castles Landscape Context Settlement. Cork: Cork University Press. Hore, P. H. (Ed.). (1904) History of the Town and County of Wexford. Dublin:Hennessy. Upton-Ward, J.M. (1992) The Rule of the Templars: The French Text of the Rule of the Order of the Knights Templar. Suffolk: Boydell Press. I enjoyed this article. Well done. Just back from the Hook. This so informative. Thank you for sharing it. Well done.